Our fall denim collection has arrived, and it’s bigger than ever. Whether you’re looking for a dark skinny jean you can dress up for work or a distressed boyfriend style to live in on weekends, we have the perfect pair (or two!) for you. 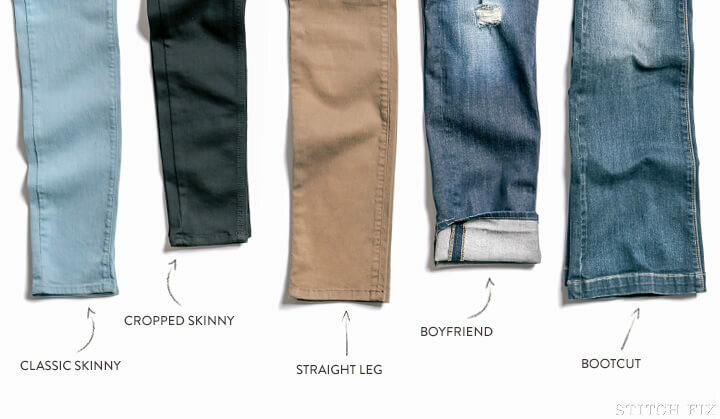 Read on to get to know our jeans from waist to toe. The term “rise” refers to how high on your waist your jeans will sit. 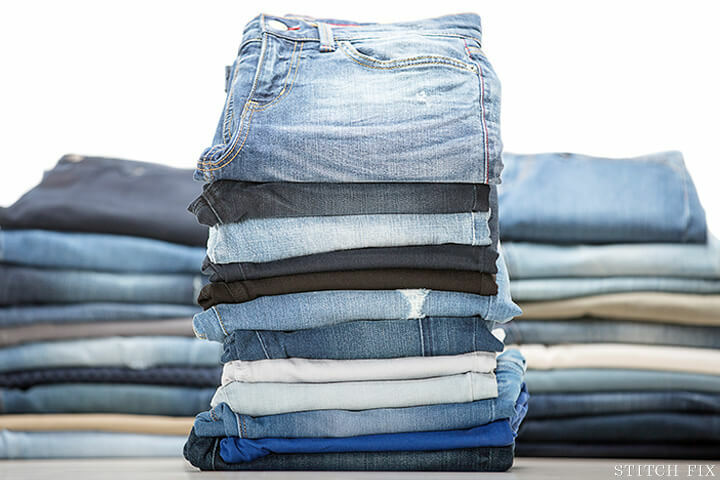 To determine the rise you’re most comfortable wearing, grab your favorite pair of jeans from your closet, lay it down flat with the front facing up, and measure the distance between the crotch and the top of the waistband. If the distance is seven inches or shorter, we’d categorize those jeans as low rise. If the distance is seven to eight inches, they would be mid rise, and if it’s nine inches or higher, they’d qualify as high rise. A jean’s leg opening refers to the width of the leg at the bottom of your jeans and is usually a jean’s defining characteristic. (An exception is the boyfriend jean, which refers to an overall roomier style that is cuffed at the bottom.) Chances are, you’ll find jeans with a variety of leg openings in your closet, as they all serve a different purpose in your wardrobe: a form-fitting skinny style can most easily be dressed up, a bootcut paired with heels creates the illusion of longer legs, and a cuffed boyfriend conveys casual ease. Remember, the more details you provide in your note to your stylist, the better we are able to match you up with a pair of jeans you’ll love. In addition to telling us about your desired rise, leg opening, and length, you can describe the type of wash you are or aren’t looking for (dark, distressed, colored, etc. 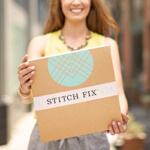 ), where and when you’re planning to wear them, the favorite styles you currently own, and whatever else you’d like us to know! Visit our Pinterest boards for more inspiration!